As Chief Technology Officer at Solver, Mike leads the product strategy and research & development roadmap and manages product conception, technology, operations and delivery. 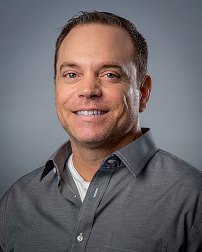 Previously serving as a Business Intelligence (BI) Architect, Mike leverages his technical and financial experience in his role to bridge the customer & market needs with product strategy and technology for Solver’s BI360 suite. Prior to joining Solver in 1999, Mike founded a technology consulting firm building custom financial tracking systems. He also spent six years at Bank of America. Mike earned his bachelor's degree in Business, Finance from California State University, Northridge.